This help page will walk you through the process of creating a singular Placement. 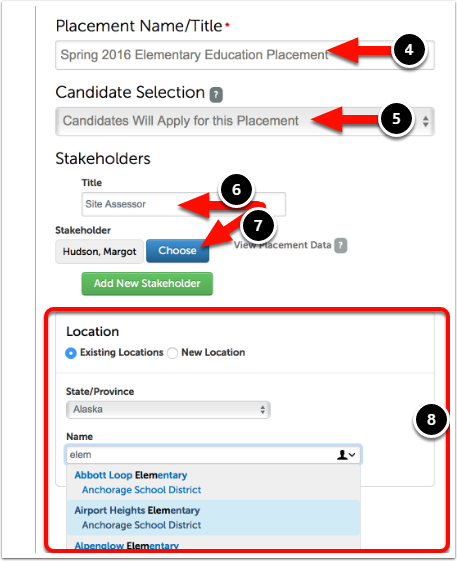 You can use this creation method to create either an assigned or vacant Placement. NOTE: You should create or ensure that you have your prerequisite resources ready prior to creating a Placement. If you are uncertain of which resources you require, please visit our Create Prerequisite Resources help page. 3. Click on the New Placement button. 4. Enter a Name for the Placement. 6. Select a Site Assessor for the Placement. 7. Optionally add another Stakeholder to the Placement. 8. Select how you would like to specify a Location. You can either select an Existing Location or enter a New Location. 9. Select a Start Date, End Date, and Length (hrs) for the Placement. 10. Select the Department/Course to house the Placement. 11. Enter the Subject or Discipline that the Placement falls under. 12. Enter the Grade/Level that the Placement falls under. 13. Select the Custom Field from the drop-down menu. 14. Click on the Add Field button. 15. 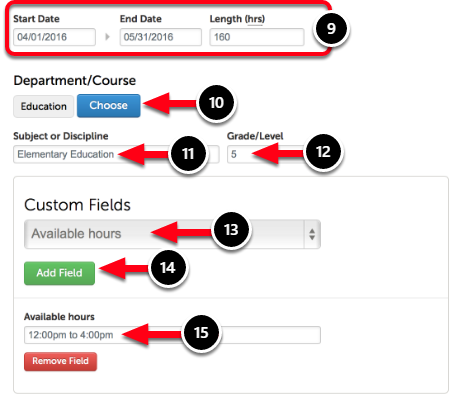 Fill in the Custom Field with the appropriate information. 16. If you chose to create a vacant Placement, you must select an Application Form for the student to use while applying for the Placement. 17. Select an Open Date and Close Date for the application window. This will dictate when students can apply for the Placement. 18. 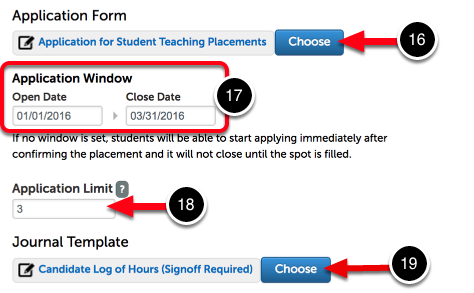 If using an Application Form, select the Application Limit for the vacant placement. This option allows you to limit the number of concurrent applications to this Placement at one time. Rejected applications do not count towards to the total. 19. Select a Journal Template for the student to use for documenting their field experience. 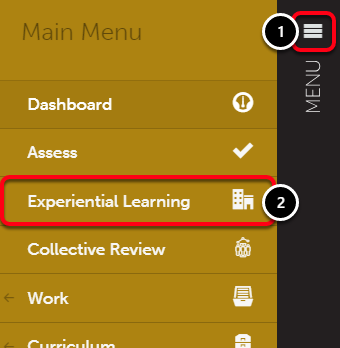 After you have saved the placement, the options to create Planned Assessments and Planned Surveys will appear at the bottom of the screen. 21. Click on the Set Up Assessment and/or Set Up Survey buttons to add assessments or forms to the placement. 22. 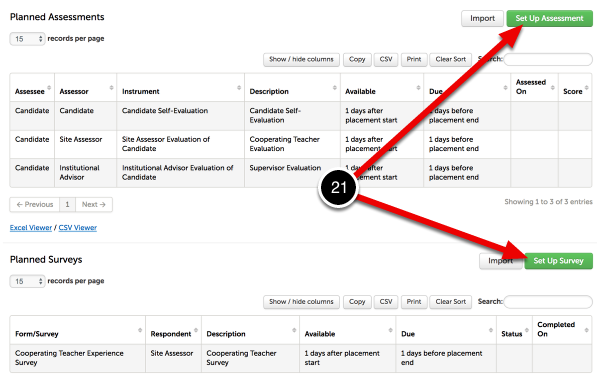 Click Save Placement to save your assessments and/or survey forms.